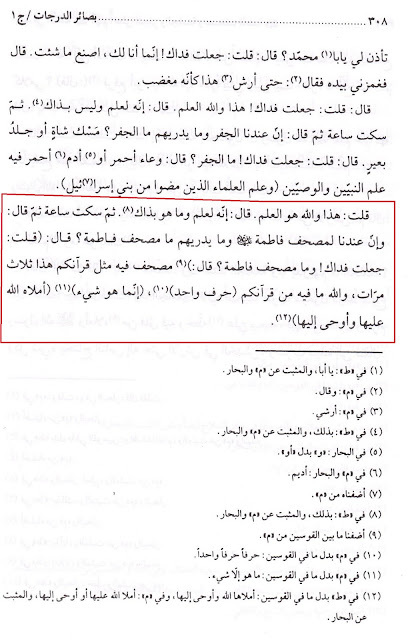 One of the claims that are brought forth about Shee`ah Islaam is in regards to the MuSHaf of FaaTimah (عليها السلام). In this post we will answer various questions. What is MuSHaf of FaaTimah (عليها السلام)? What is contained in this MuSHaf of FaaTimah (عليها السلام)? We will provide you with three unequivocally SaHeeH aHaadeeth that will answer these questions that are often posed. Abee `Abd Allaah (عليه السلام) said: "With us there is the MuSHaf of FaaTimah (عليها السلام). 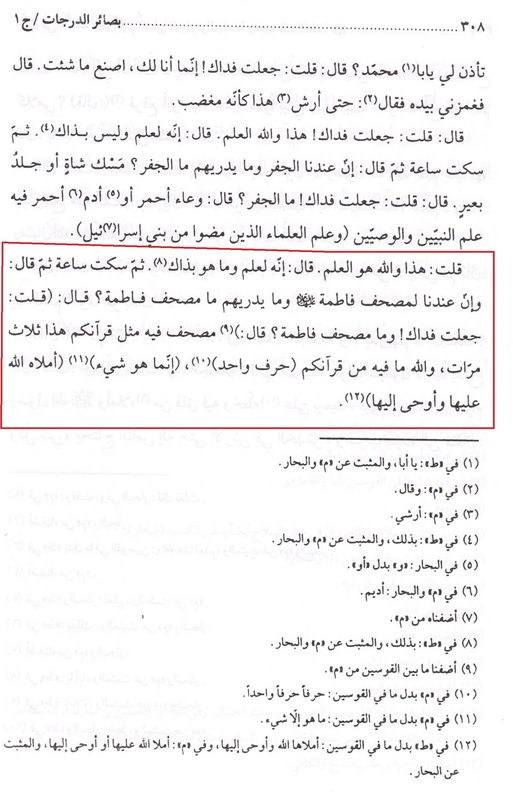 He said: ‘I said: “And what is the MuSHaf of Fatima (عليها السلام)? He (عليه السلام) said: "MuSHaf of Fatima has three times the amount of your Qur’aan. By Allaah, There is not a single letter from your Qur’aan." He (the narrator) said: "What is MuSHaf of Fatima?" He said: So he was silent for a while. Then he (عليه السلام) said: "You inquire of which you want, and about which you don’t really want. That FaaTimah (عليها السلام) lived after the Messenger of Allah for seventy-five days. She entered in severe depression because (of the death) of her father. Jibra’eel (عليه السلام) would come to her so he would provide her (with) solace because (of the death) of her father. 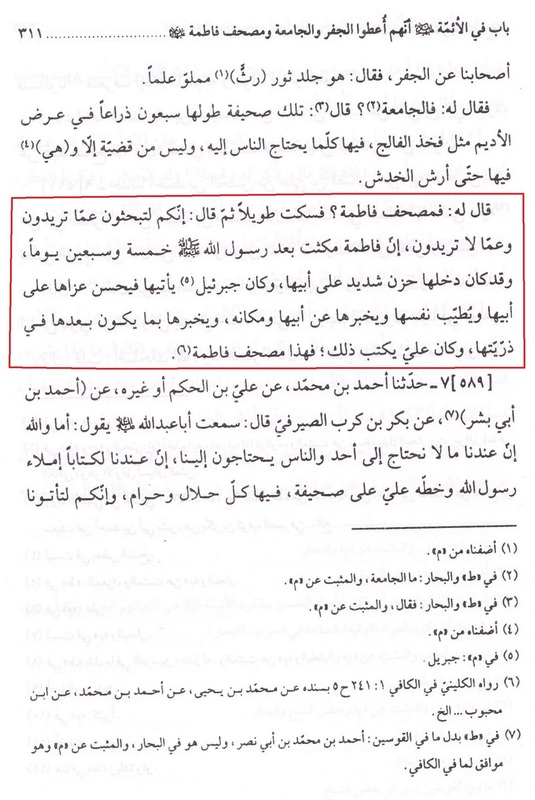 Jibra’eel (عليه السلام) would comfort her soul. Jibra’eel (عليه السلام) would inform her about her father and his place and about what would happen after her (death) about her progeny. 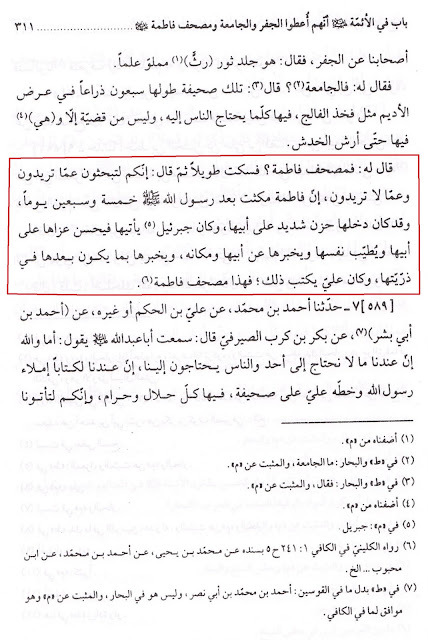 And `Alee (عليه السلام) would write this, and this the MuSHaf of FaaTimah (عليه السلام)." 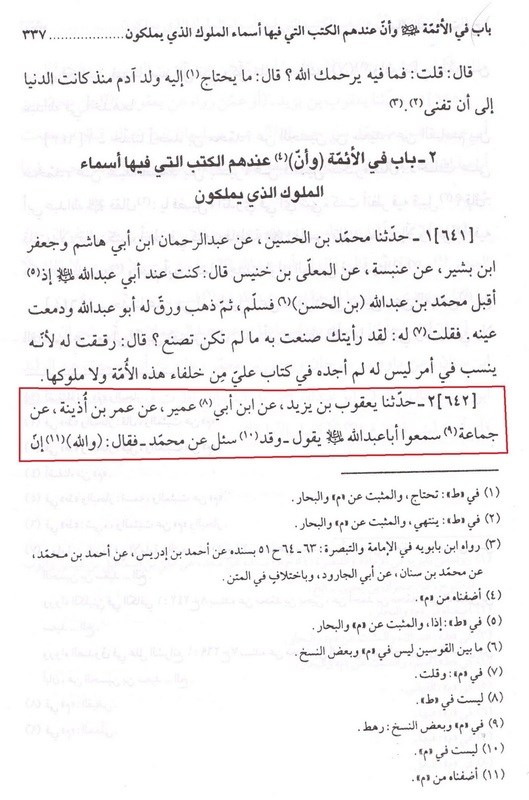 That `Abd Al-Malik bin A`yan said to Abee `Abd Allaah (عليه السلام): "The Zaydiyyah and the Mu’tizilah were circle around Muhammad bin `Abd Allaah. (the narrator asked) Does he have any authority?" So he (عليه السلام) said, "I swear by Allah, that with me there are two books in which there is the name of every prophet and the name of every king that would rule on earth. No, I swear by Allah, that the name of Muhammad bin ‘Abd Allaah is not in the list as one of them." Such question. What I understood from this. 1) After the demise of prophet (saws)angel visited Fatima. 2) Ali recorded his speech. 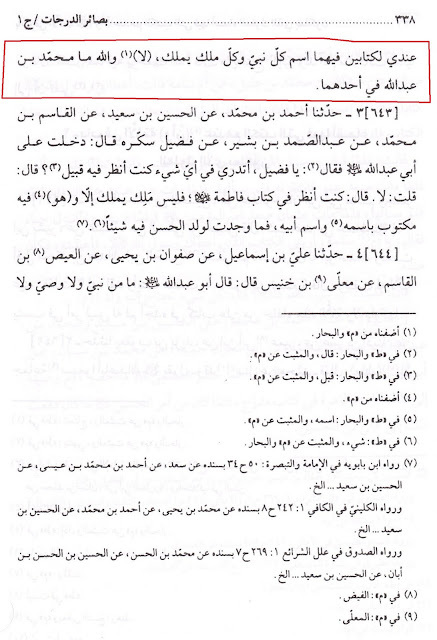 3) That book contains such info which is not in Quran. Does it mean that Quran isn't a last book revealed? it means fatimah a.s are prophet. i known jiberail kalam with maryam a.s and others non -prophets............but does not give book or sahifa to any non- prophet.......it also question mark on quran ..............did it is not last book from allah ?